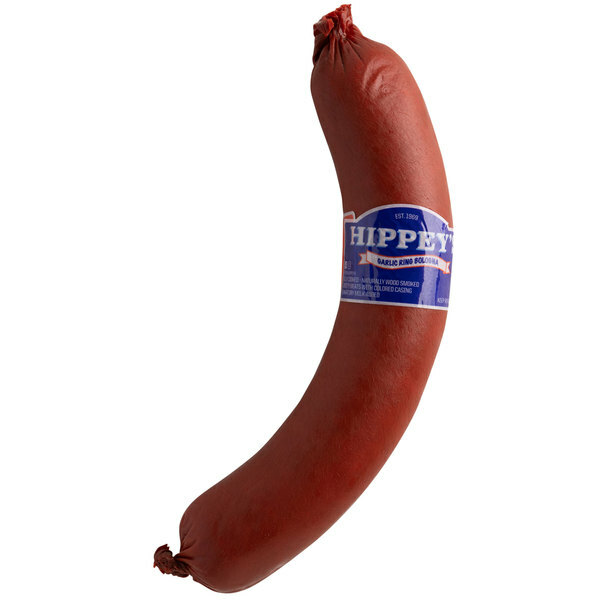 Add a classic deli meat to your kitchen with this Denver Meats Hippey's 1.25 lb. half ring garlic bologna. 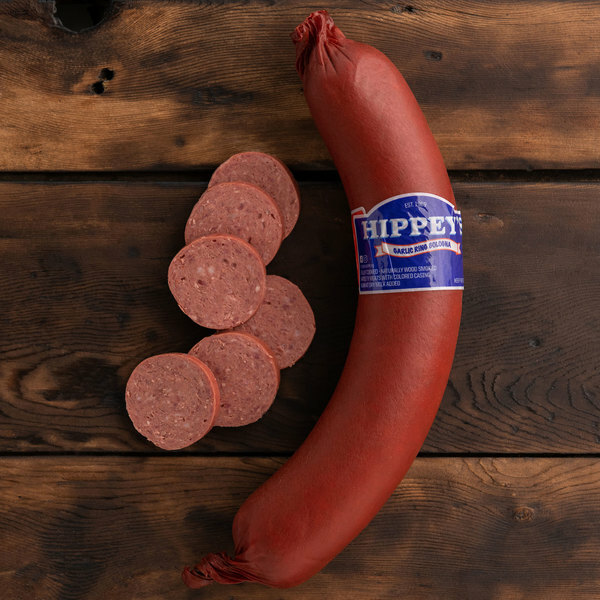 Made of domestic lean meat without any filler, this high-quality beef and pork bologna is bursting with flavor. Enhanced with garlic, this bologna is perfectly seasoned and ready to eat. Use this bologna to create a gourmet sandwich stacked with smoked turkey, freshly sliced american cheese, and crisp lettuce for an irresistible customer favorite. Grab your favorite sandwich bread and layer the bologna with your choice of cheese. Toast or grill the sandwich for a cheesy, melt-in-your-mouth sandwich. Savory and delicious, this bologna leaves your customers craving more. 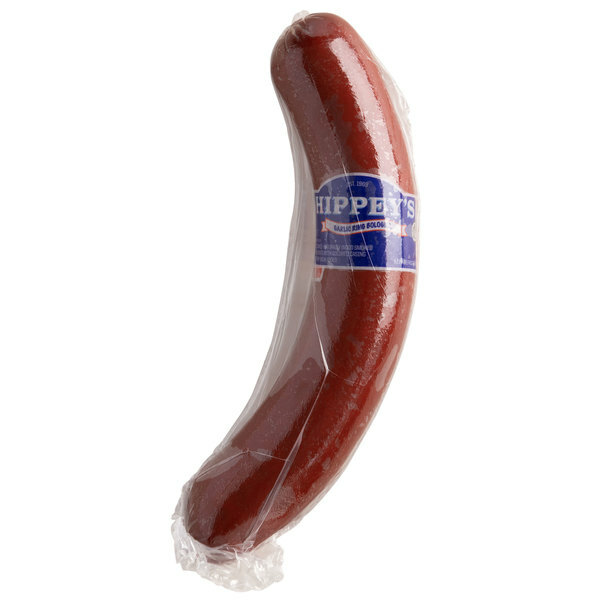 Ideal for cafes, diners, grocery stores, or restaurants, this bologna is packaged as a half ring so you can cube or slice this bologna to best suit your needs. 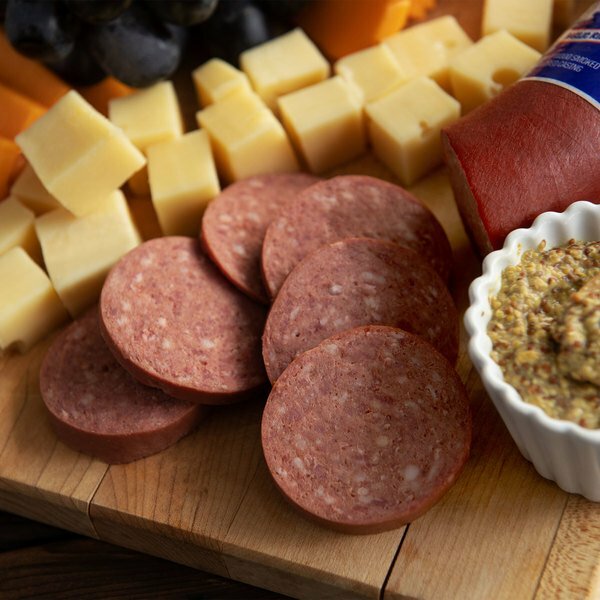 Great for creating elaborate charcuterie boards, this bologna adds convenience and flavor to any food presentation. It pairs nicely with pickles and spicy mustard for a classic combination that will excite your taste buds! Plus, it's perfect for use as a lunch meat on sandwiches and subs. 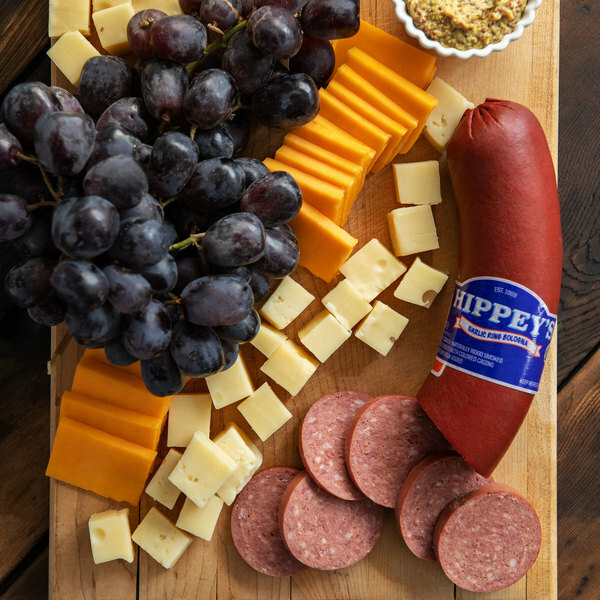 Bring Hippey bologna to your restaurant to add traditional flavor to your menu.